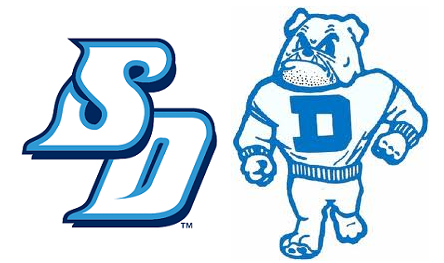 The USD Toreros travel to Des Moines, Iowa this Saturday to take on the Drake Bulldogs in a battle of defending Pioneer Football League co-champions. 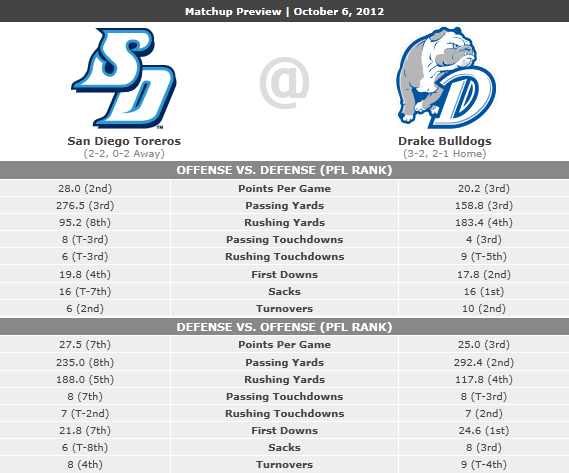 Kickoff is scheduled for 10:30 a.m. pacific time. Leads the PFL in total offense. 2nd among PFL players in rushing yards (348). 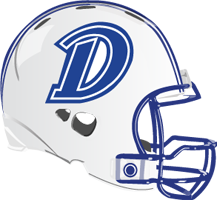 Leads the PFL in total tackles (53). 2nd among PFL players in average receptions & receiving YPG. Recorded two interceptions this season. Made 5/5 field goals this season including a 51-yarder. Key To Victory: Avoid the fourth quarter melt down! 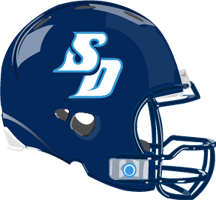 In their two losses this season, the Toreros have been outscored a combined 42-0 in the final quarter of regulation.